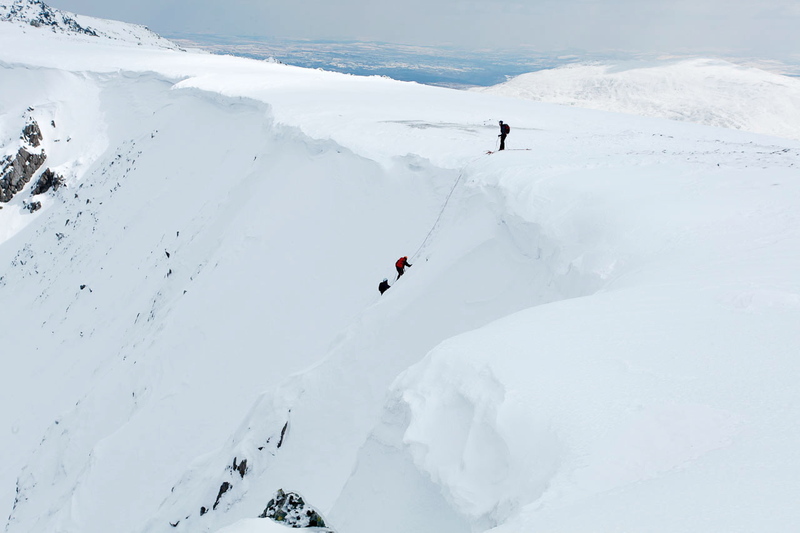 As I write this, Snowdonia has been transformed to an Alpine Winter Paradise, with people enjoying the snow-covered mountains. What have I been up to, you may wonder – I’ll tell what I’ve been up to, I’ve been getting over a monster of a cold! So, rather than sit sulking, thinking of the great winter conditions that I’m missing, I went back to look at the glorious weather of last September. 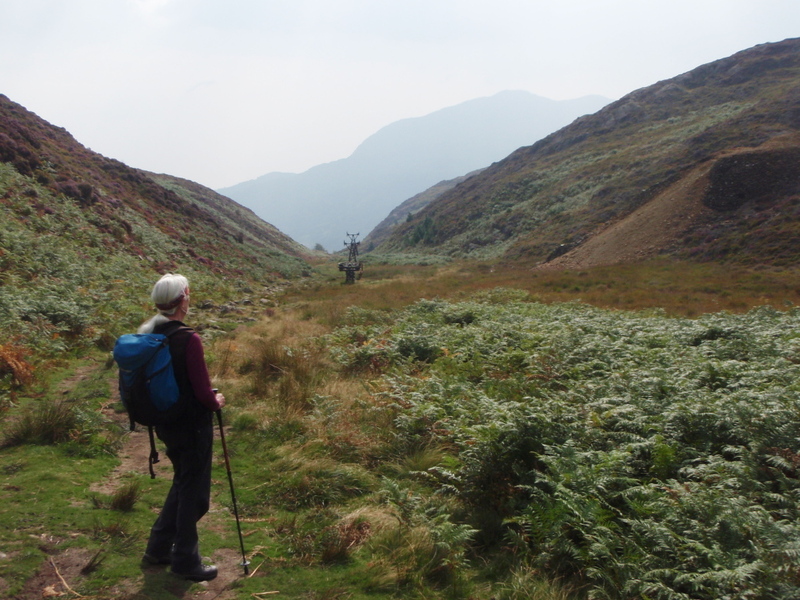 I’d had an idea for a while to visit the Pass of Aberglaslyn on foot – the road goes through this scenic valley, but I had never made the time to make the journey on foot, one problem being that, as walks go it’s quite short. I needed to extend the route a bit for some more interest. 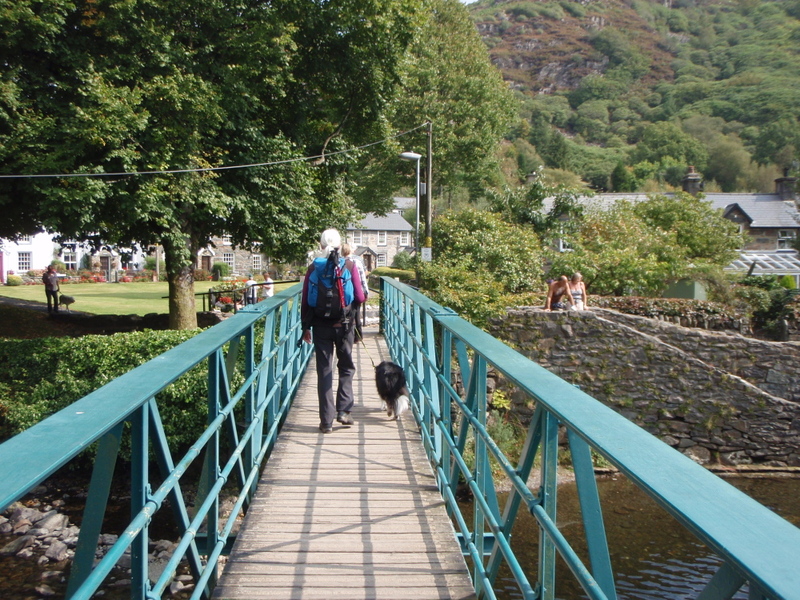 Down amongst the tourists in Beddgelert …. …. but things soon get a bit more interesting …. 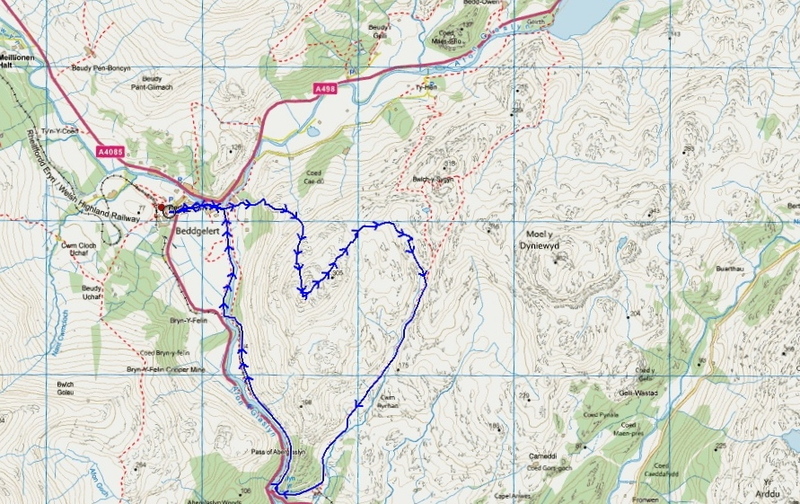 Look at a map long enough and a route usually appears, which is exactly what happened here. 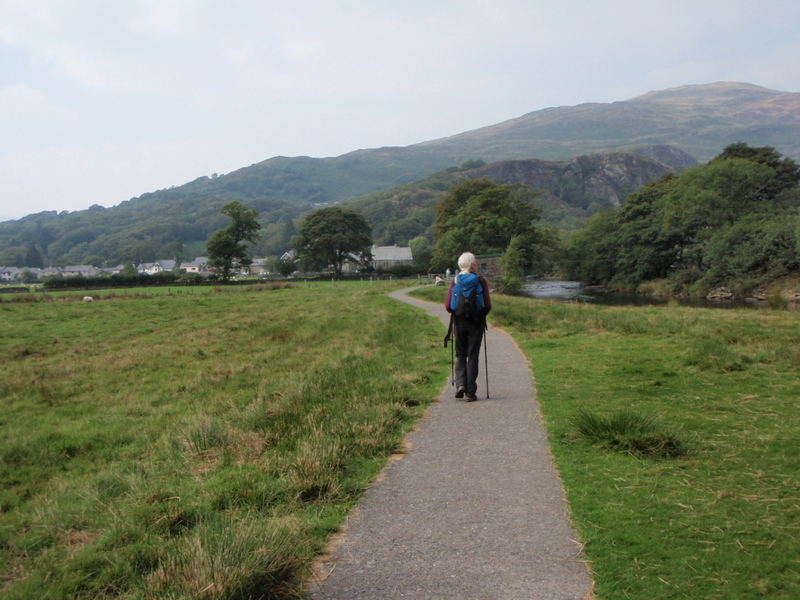 Above the touristy town of Beddgelert lies a small lump of a hill called Mynydd Sygyn – the plan was a full frontal ascent of Mynydd Sygyn, followed an easy descent of Cwm Bychan to return to Beddgelert by the Pass of Aberglaslyn. 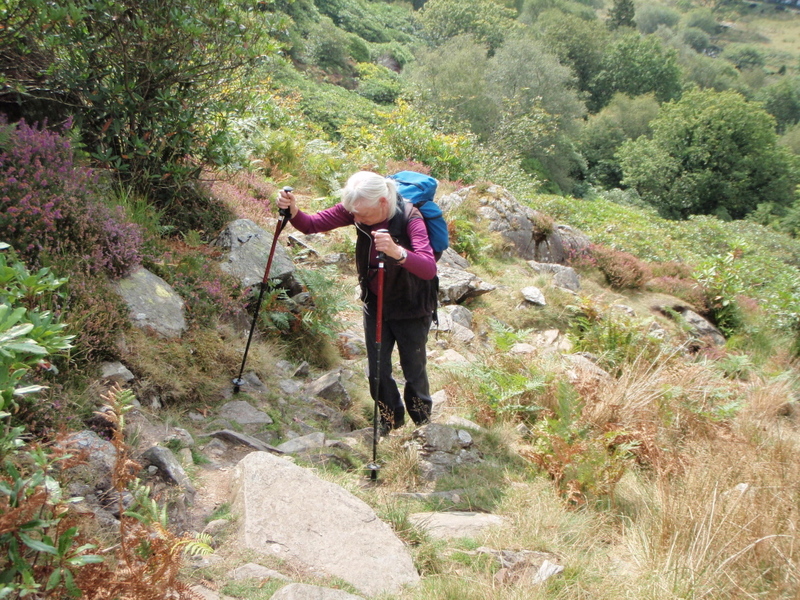 The great thing about our steep start was that we immediately left the tourist trap of Beddgelert behind us. 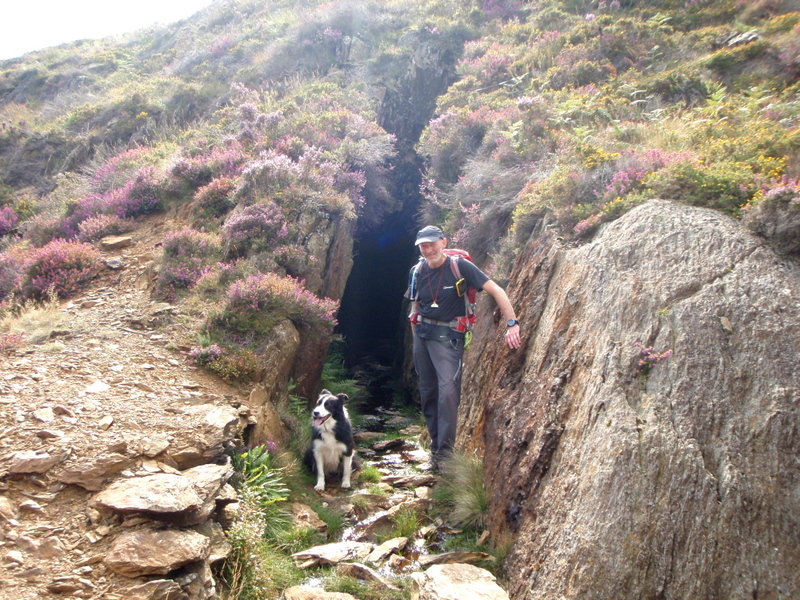 Most visitors don’t get any further that the grave of ‘Gelert’ – the legend goes that Prince Llywelyn returned home to find his child’s cot upturned, with his blood-covered hound ‘Gelert’ standing by it. Thinking that his son had been attacked, Llewelyn killed the dog then found the boy safe and sound next to the body of a wolf, slain by the faithful dog who was protecting the baby. Unfortunately, it is no more than a legend, and the supposed grave is only a little over 200 years old – it’s a good story though! 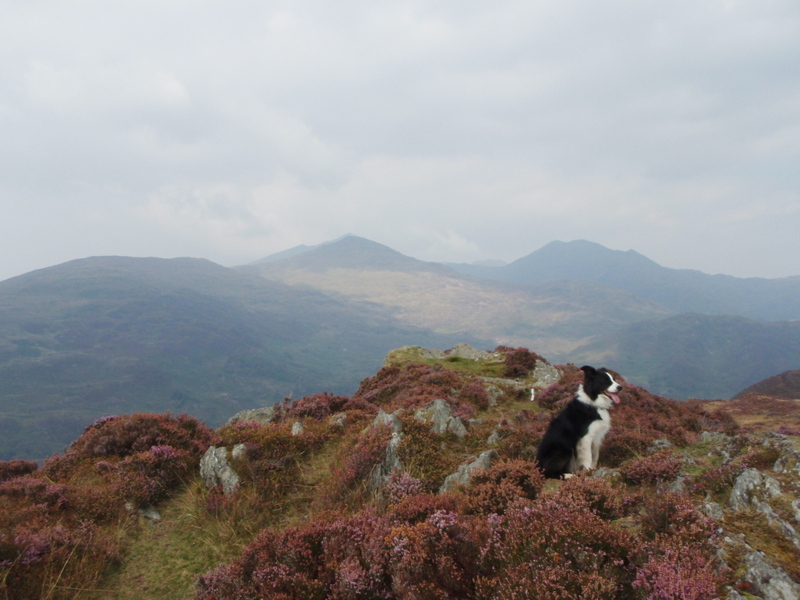 Border Collie ‘Mist’ didn’t seem over impressed by the story, and as usual led the way all the way to the summit of Mynydd Sygyn – the views were a bit on the hazy side, but the unmistakable profiles of Yr Aran and the Snowdon Range made a great backdrop. 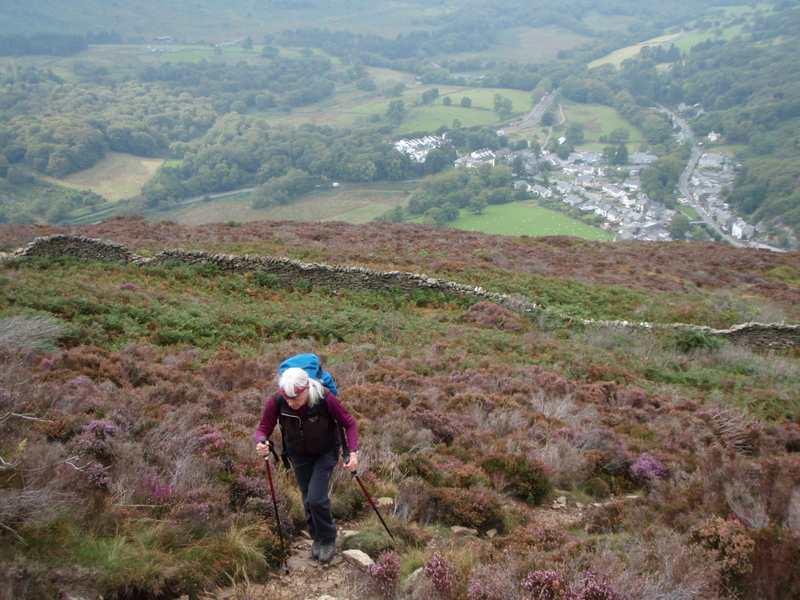 The top of Mynydd Sygyn is an undulating plateau, with hidden corners to add interest (or confusion to the navigationally challenged). 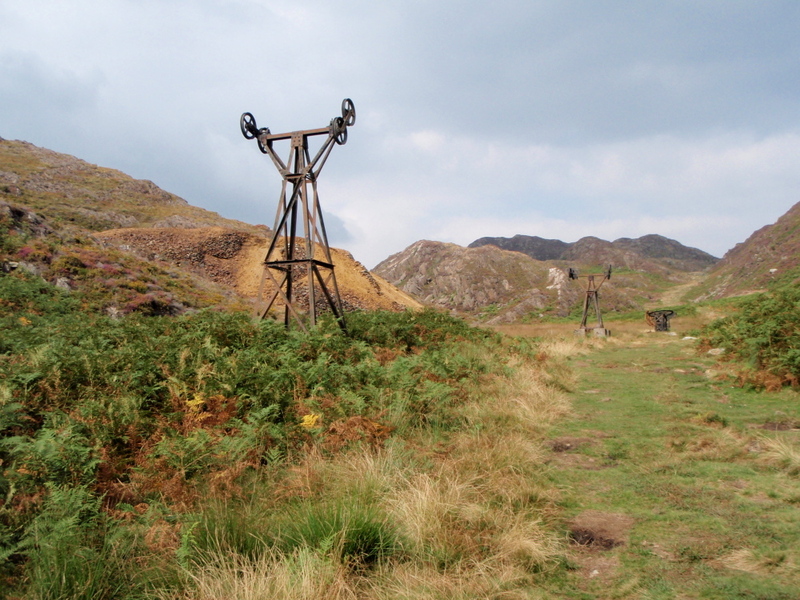 Dropping down into Cwm Bychan (it means ‘Marshy Valley’) we came across relics of the copper mining industry, which was one of the mainstays of the local economy before tourism became important. 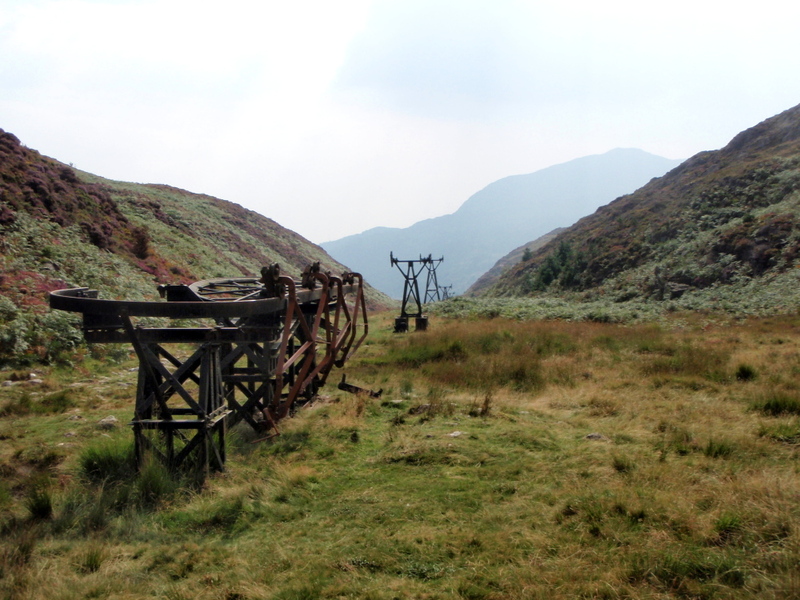 In most of North Wales, ore was transported by pony, but in the early 20th Century a cableway was built to take the copper ore down to Nantmor for processing. Instead of being an eyesore, the old pylons are a fitting memorial to the men who struggled to make a living here. 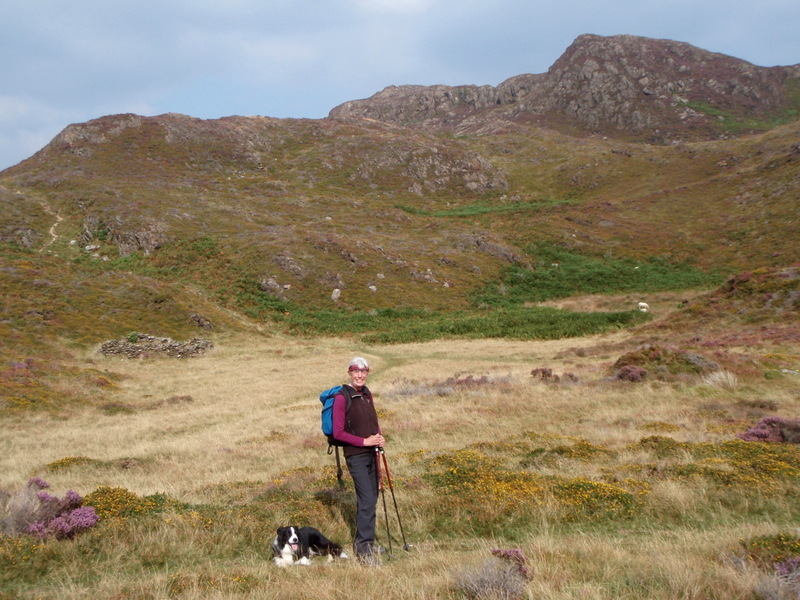 Looking down towards Nantmor …. …. 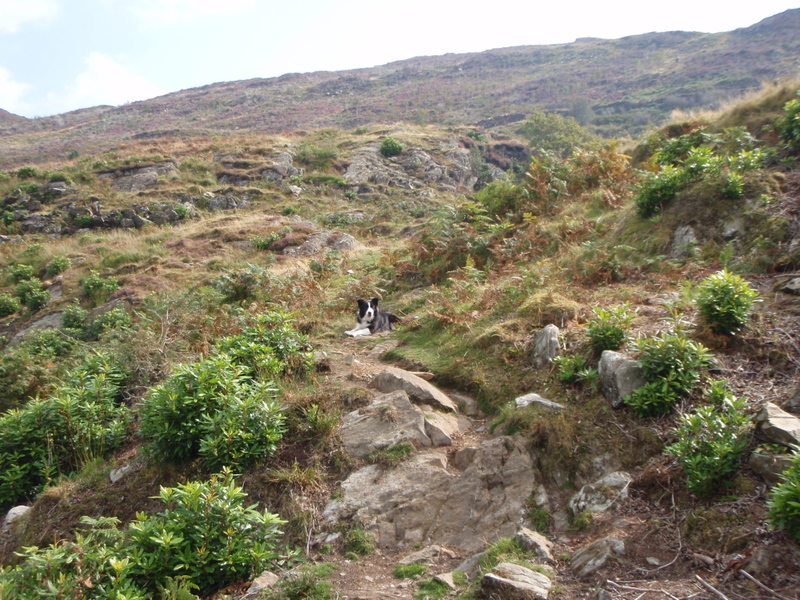 passing through woodland …. 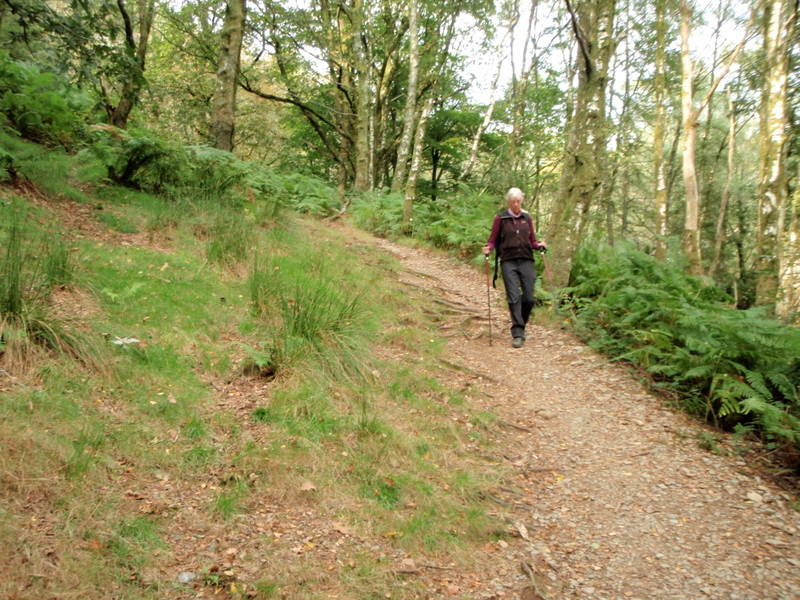 We carried on down towards Nantmor, passing through woodland to arrive at Aber Glaslyn. Aber is Welsh for Mouth of a River, and Glaslyn means Blue Lake – the Glaslyn in this case is the one nestling below the summit of Yr Wyddfa (Snowdon), and it is the source of the Afon Glaslyn (Blue Lake River). 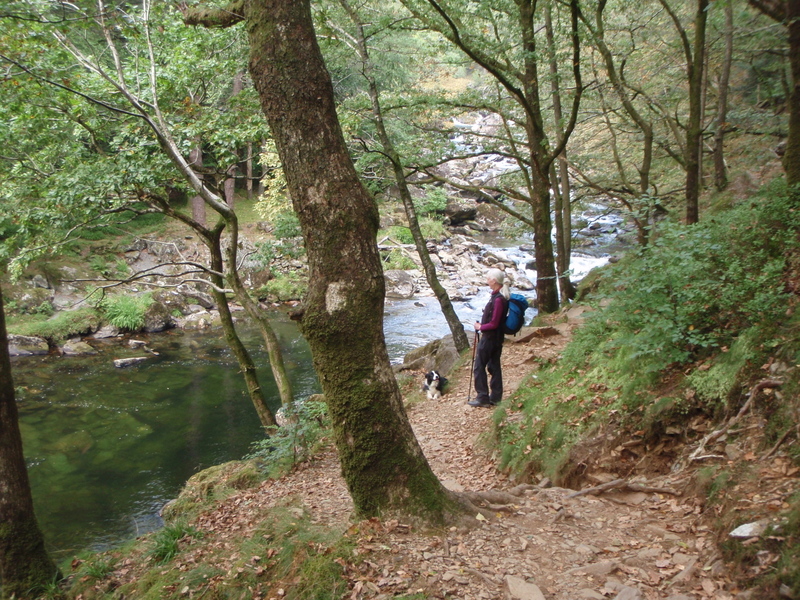 I didn’t know until we arrived there, but the riverside path has a name, Llwybr y Pysgotyr (‘The Fisherman’s Path’). 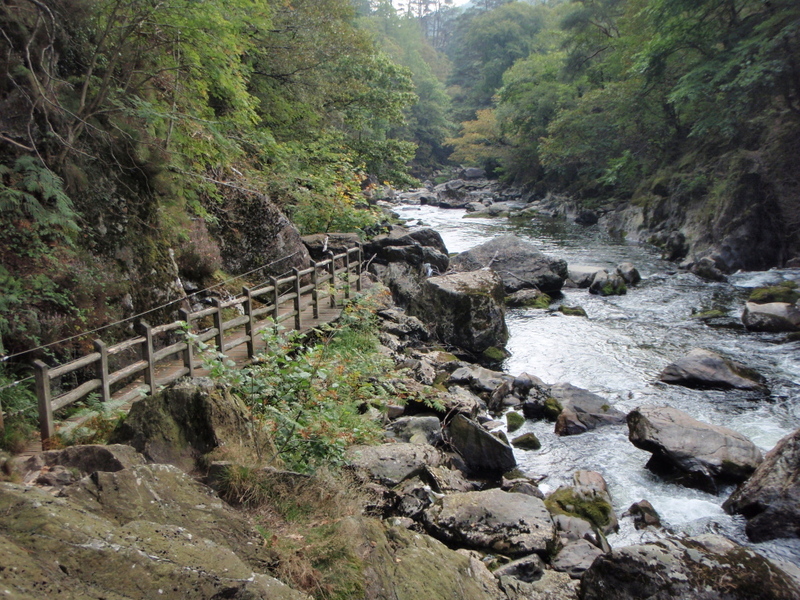 Apparently this used to be quite a sporting trip, with metal pegs driven into the rock above raging torents – the path is much tamer now, with walkways added to save walkers from an unexpected ducking. 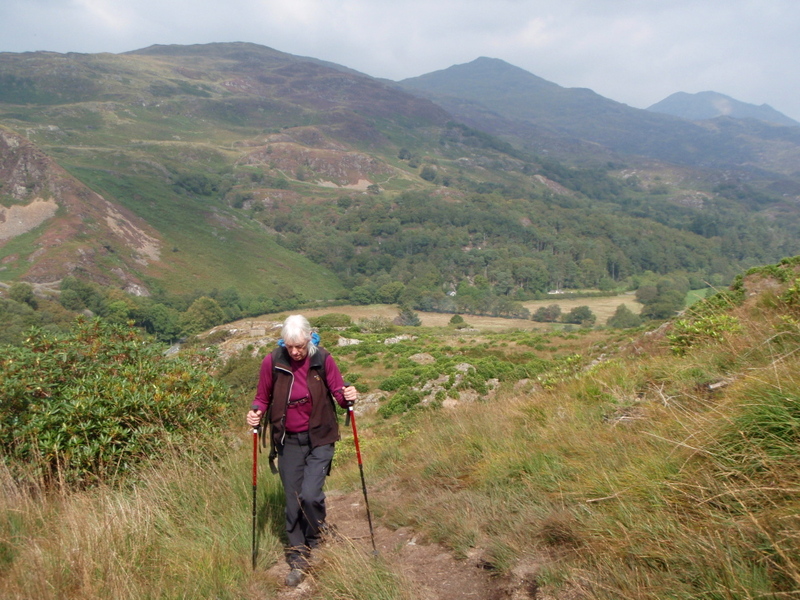 With the Welsh Mountain Railway alongside for company we made good time back to Beddgelert – one good thing about tourist traps is they have ice-cream shops! This entry was posted in 5. 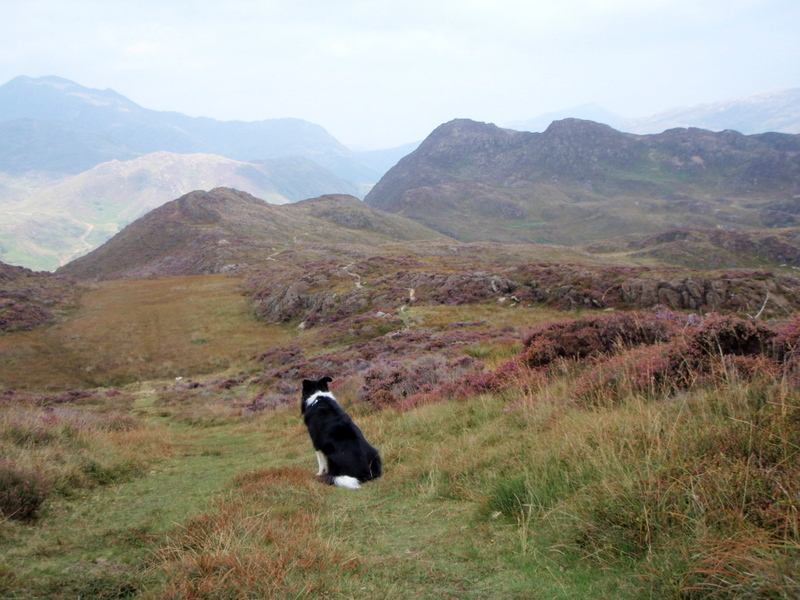 North Wales and tagged Border Collie, hillwalking, mountains, photography, Snowdonia. Bookmark the permalink. 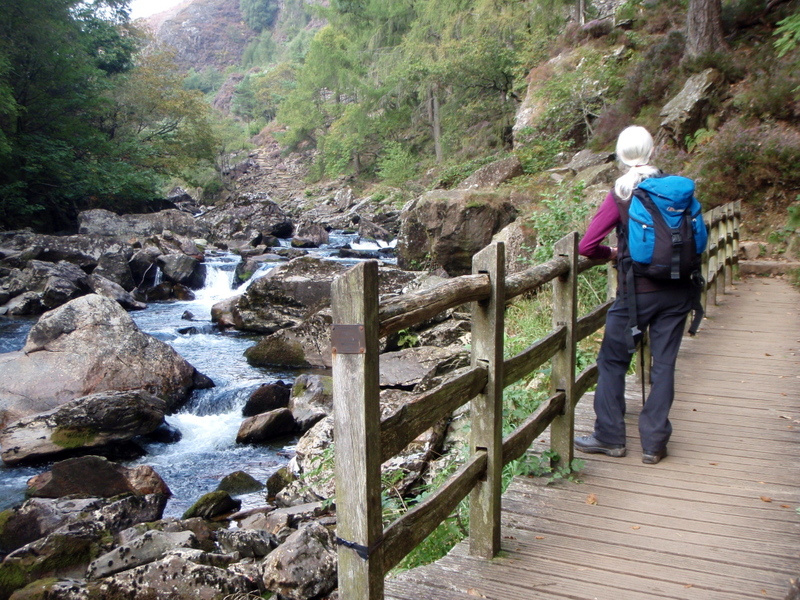 I’m very sad about those wooden walkways – it did used to be a much more exciting (and, to my mind, better) trip along the riverside at Aberglaslyn. It wasn’t particularly difficult but I suppose they’re pandering to the wheelchair brigade again. It’s a very pretty walk when the rhodies are out. It’s the first time that I’ve bothered to explore round Sygyn Carol – I’m sorry now that I didn’t see the riverside walk in its raw state. 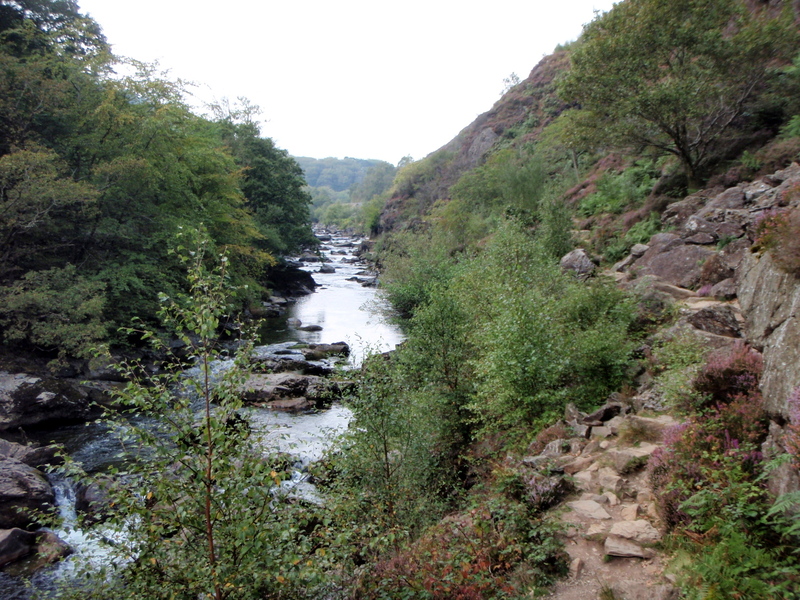 The river walk is outstanding Plant Girl, and that’s from one who would usually prefer to be up high in the peaks. 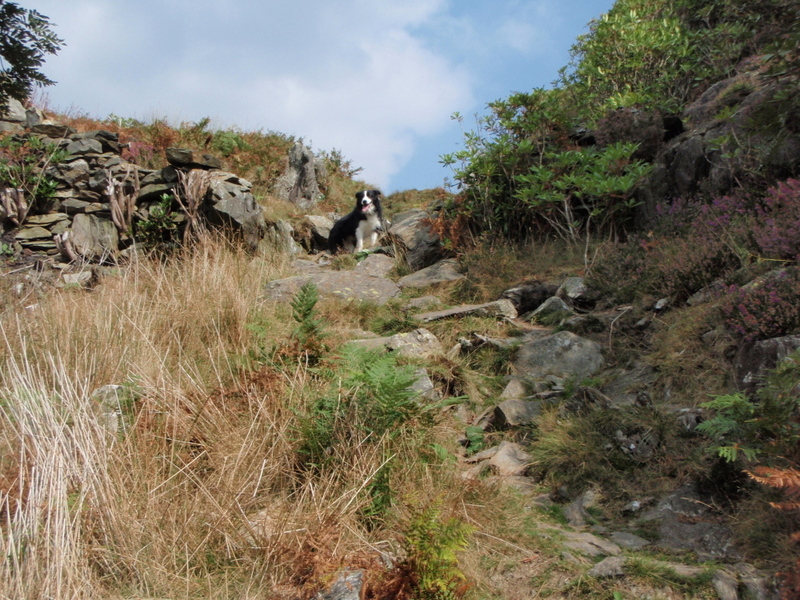 The legend of Gelert is a story that crops up in a few European traditions – I guess that the sad story of a faithful dog will always be a bit of a tear jerker, and is probably based on fact somewhere back in history. 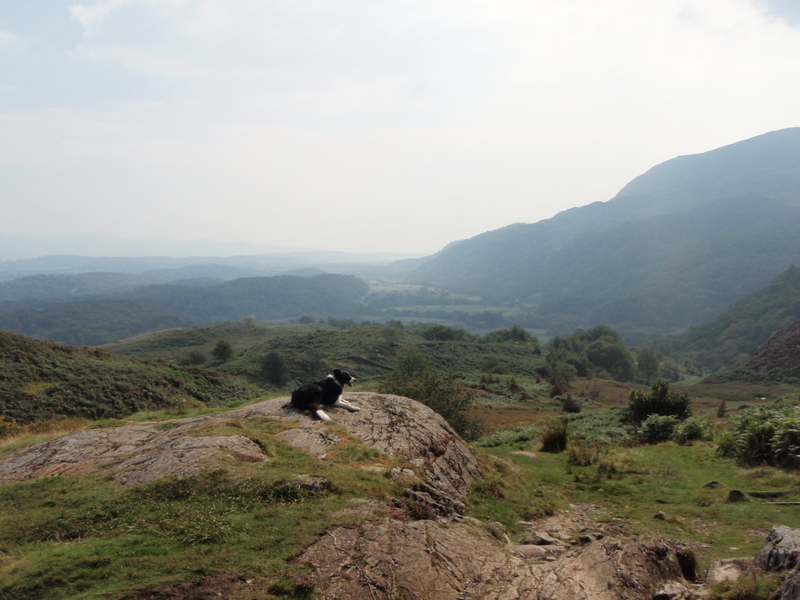 As for Gelert’s Grave (The name of the village Beddgelert translates as ‘Gelert’s Grave’), sad to say but that part of the legend was invented for the village just over 200 years ago, as an attraction to bring in the visitors – the landlord of the local pub re-invented the legend to fit the village, and even built a ‘grave’. It’s thought that the village may be named after a 6th Century saint, Celert – in the Welsh language the letter ‘G’ sometimes mutates to a letter ‘C’.